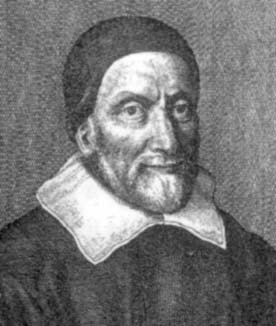 William Oughtred, (born March 5, 1574, Eton, Buckinghamshire, England—died June 30, 1660, Albury, Surrey), English mathematician and Anglican minister who invented the earliest form of the slide rule, two identical linear or circular logarithmic scales held together and adjusted by hand. Improvements involving the familiar inner sliding rule came later. Oughtred was educated at Eton College and at King’s College, Cambridge, where he received his bachelor’s degree (1596) and master’s degree (1600). Before his ordainment as an Anglican priest in 1603 and appointment as vicar of Shalford in 1604, Oughtred had already designed (or improved upon) several instruments and composed various works that would be published much later. In 1610 he became rector of Albury, where he remained until his death. Oughtred was extremely generous in assisting anyone desirous of instruction in mathematics, refusing to accept any remuneration for such instruction. For more than five decades he tutored some of the better-known English mathematicians, such as John Wallis, John Pell, and Seth Ward, as well as numerous teachers of mathematics and instrument-makers who practiced in London. In addition, he kept abreast of the mathematical sciences on the Continent, and either through correspondence or by word of mouth he assisted in the diffusion of French and Italian results among English practitioners. As a clergyman, Oughtred was reluctant to publish on mathematics. However, in 1631 he consented to allow the printing of a small manual that he had utilized in teaching one of his students. The book became famous under the title of Clavis Mathematicae (“The Key to Mathematics”), although it was not an easy text. It compressed much of contemporary European knowledge of arithmetic and algebra into less than 100 pages (in the first edition), while a somewhat obscure style and a penchant for excessive symbolism made the dense text even more challenging. Of the many symbols Oughtred introduced only two are still widely used, “×” for multiplication and “::” for proportion. Despite its difficulty, the book quickly became one of the most popular mathematics textbooks in 17th-century England. It was often reprinted both in Latin and in the vernacular, and it exerted a formative influence on, among others, the chemist Robert Boyle (1627–91), the architect Christopher Wren (1632–1723), and the mathematician-physicist Isaac Newton (1643–1727). Oughtred’s other writings were published by his students much later, including Trigonometria (1657; “Trigonometry”) and a posthumous collection of tracts, Opuscula mathematica hactenus inedita (1677; “Unpublished Mathematical Papers”). Shortly after the publication of the Clavis Mathematicae, Oughtred became embroiled in a bitter priority dispute over instrument design. In the early 1620s, improving upon a logarithmic scale invented by Edmund Gunter, Oughtred designed the circular slide rule. However, in 1630 a former student of his and tutor to King Charles I of Great Britain, Richard Delamain, published a small pamphlet in which he claimed to have invented that instrument, and an acrimonious controversy ensued. Oughtred described his circular slide rule in Circles of Proportion and the Horizontal Instrument (1632), which, in addition to defending his reputation and priority during the controversy, addressed the important issue of the proper role of theory and instruments in the teaching of mathematics—a subject of continuing debate. Roger Federer (German pronunciation: [ˈrɔdʒər ˈfeːdərər]; born 8 August 1981) is a Swiss professional tennis player who is currently ranked world No. 2 in men's singles tennis by the Association of Tennis Professionals (ATP). Federer has won 20 Grand Slam singles titles and has held the world No. 1 spot in the ATP rankings for 302 weeks, including 237 consecutive weeks. After turning professional in 1998, he was continuously ranked in the top ten from October 2002 to November 2016. He re-entered the top ten following his victory at the 2017 Australian Open. Roger Federer won his sixth Australian Open and 20th Grand Slam title with a five-set victory over Marin Čilić. "It's a dream come true and the fairytale continues," said Federer, who has won three of the last five majors. 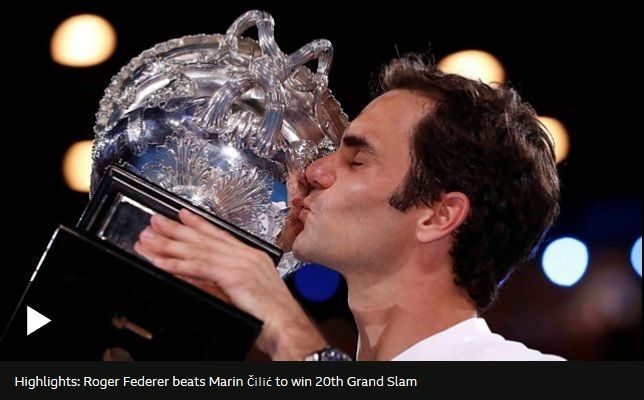 Has there ever been, or will there ever be, a more fantastic tennis player than Rogerer Federer, winner of 20 Grand Slam singles title (and counting)? Bartolomeo Cristofori, in full Bartolomeo di Francesco Cristofori, (born May 4, 1655, Padua, Republic of Venice [Italy]—died January 27, 1732, Florence), Italian harpsichord maker generally credited with the invention of the piano, called in his time gravicembalo col piano e forte, or “harpsichord that plays soft and loud.” The name refers to the piano’s ability to change loudness according to the amount of pressure on the keys, a quality foreign to the harpsichord. Cristofori achieved that effect by replacing the plucking mechanism of the harpsichord with a hammer action capable of striking the strings with greater or lesser force. Little is known of Cristofori’s life, and his invention was not well known in his lifetime. He moved from Padua to Florence about 1690 at the request of Prince Ferdinando de’Medici, an accomplished harpsichordist, a move suggesting that Cristofori had already established a reputation as a skilled keyboard instrument builder. (A three-keyboard harpsichord dated 1702, sometimes attributed to Cristofori and bearing the arms of Ferdinando, is preserved at the Stearns Collection at the University of Michigan.) Cristofori apparently invented the piano about 1709, and, according to contemporary sources, four of his pianos existed in 1711. In 1713 Ferdinando died, and Cristofori remained in the service of the grand duke, Cosimo III, later (1716) becoming responsible for the care of an instrument collection assembled by Ferdinando; of 84 instruments, 7 were harpsichords or spinets of Cristofori’s manufacture. Cristofori improved his piano to the point where, by 1726, he had arrived at all essentials of the modern piano action. His frames, being made of wood in the manner of a harpsichord, were not capable of withstanding the string tension that allowed later pianos their more-powerful tone. Nevertheless, to judge by three surviving examples—at the Metropolitan Museum of Art in New York City, the Museum of Musical Instruments in Leipzig, and the Museum of Musical Instruments in Rome—his pianos were responsive and had a wide dynamic range. Cristofori’s design was largely ignored in Italy, but it soon became known and adopted in Germany through articles in dictionaries of music. 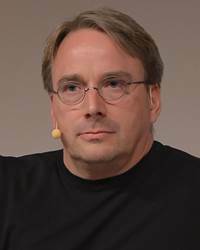 Linus Torvalds, (born December 28, 1969, Helsinki, Finland), Finnish computer scientist who was the principal force behind the development of the Linux operating system. At age 10 Torvalds began to dabble in computer programming on his grandfather’s Commodore VIC-20. In 1991, while a computer science student at the University of Helsinki (M.S., 1996), he purchased his first personal computer (PC). He was not satisfied, however, with the computer’s operating system (OS). His PC used MS-DOS (the disk operating system from Microsoft Corp.), but Torvalds preferred the UNIX operating system he had used on the university’s computers. He decided to create his own PC-based version of UNIX. Months of determined programming work yielded the beginnings of an operating system known as Linux. In 1991 he posted a message on the Internet to alert other PC users to his new system, made the software available for free downloading, and, as was a common practice among software developers at the time, he released the source code, which meant that anyone with knowledge of computer programming could modify Linux to suit their own purposes. Because of their access to the source code, many programmers helped Torvalds retool and refine the software, and by 1994 Linux kernel (original code) version 1.0 was released. Operating Linux required a certain amount of technical acumen; it was not as easy to use as more popular operating systems such as Windows, Apple’s Mac OS, or IBM OS/2. However, Linux evolved into a remarkably reliable, efficient system that rarely crashed. Linux became popular in the late 1990s when competitors of Microsoft began taking the upstart OS seriously. Netscape Communications Corp., Corel Corp., Oracle Corp., Intel Corp., and other companies announced plans to support Linux as an inexpensive alternative to Windows. In addition to Linux being free, its source code can be viewed and freely modified by anyone, unlike a proprietary OS. This means that different language versions can be developed and deployed in markets that would be too small for the traditional companies. Also, many organizations and governments have expressed security reservations about using any kind of computer software that contains code that cannot be viewed. For all of the above reasons, localized versions of Linux have become common in China and many other non-Western countries. In 1997 Torvalds took a position with Transmeta Corp., a microprocessor manufacturer, and relocated to California. Six years later he left the company to work as a project coordinator under the auspices of the Open Source Development Labs (OSDL), a consortium created by such high-tech companies as IBM, Intel, and Siemens to promote Linux development. In 2007 OSDL merged with the Free Standards Group to form the Linux Foundation. In 2012 he was awarded the Millennium Technology Prize by the foundation Technology Academy Finland. Meanwhile he continued with a distinguished musical career initiated at an early age with piano and organ lessons. Only nine when he first performed in his father's church, he was, from his young manhood to his middle eighties, recognized as a concert organist, internationally known. From his professional engagements he earned funds for his education, particularly his later medical schooling, and for his African hospital. Musicologist as well as performer, Schweitzer wrote a biography of Bach in 1905 in French, published a book on organ building and playing in 1906, and rewrote the Bach book in German in 1908. Having decided to go to Africa as a medical missionary rather than as a pastor, Schweitzer in 1905 began the study of medicine at the University of Strasbourg. In 1913, having obtained his M.D. degree, he founded his hospital at Lambaréné in French Equatorial Africa, but in 1917 he and his wife were sent to a French internment camp as prisoners of war. Released in 1918, Schweitzer spent the next six years in Europe, preaching in his old church, giving lectures and concerts, taking medical courses, writing On the Edge of the Primeval Forest, The Decay and Restoration of Civilization, Civilization and Ethics, and Christianity and the Religions of the World. Schweitzer returned to Lambaréné in 1924 and except for relatively short periods of time, spent the remainder of his life there. With the funds earned from his own royalties and personal appearance fees and with those donated from all parts of the world, he expanded the hospital to seventy buildings which by the early 1960's could take care of over 500 patients in residence at any one time. At Lambaréné, Schweitzer was doctor and surgeon in the hospital, pastor of a congregation, administrator of a village, superintendent of buildings and grounds, writer of scholarly books, commentator on contemporary history, musician, host to countless visitors. The honors he received were numerous, including the Goethe Prize of Frankfurt and honorary doctorates from many universities emphasizing one or another of his achievements. The Nobel Peace Prize for 1952, having been withheld in that year, was given to him on December 10, 1953. With the $33,000 prize money, he started the leprosarium at Lambaréné. 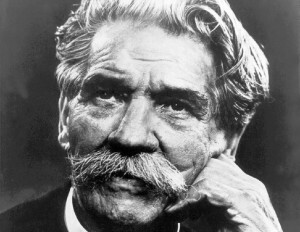 Albert Schweitzer died on September 4, 1965, and was buried at Lambaréné. Henri Moissan, in full Ferdinand-Frédéric-Henri Moissan, (born Sept. 28, 1852, Paris, France—died Feb. 20, 1907, Paris), French chemist who received the 1906 Nobel Prize for Chemistry for the isolation of the element fluorine and the development of the Moissan electric furnace. After attending the Museum of Natural History and the School of Pharmacy in Paris, Moissan became professor of toxicology (1886) and of inorganic chemistry (1889) at the School of Pharmacy and professor of inorganic chemistry (1900) at the Sorbonne. He took up the study of fluorine compounds in 1884. Two years later, by electrolyzing a solution of potassium fluoride in hydrofluoric acid, he prepared the highly reactive gas fluorine. He made a full study of the properties of the element and its reactions with other elements. In 1892 Moissan developed the electric arc furnace and used it to prepare numerous new compounds and to vaporize substances previously regarded as infusible. He devised a commercially profitable method of producing acetylene. Although he claimed to have synthesized diamonds in his furnace (1893), his success is now seriously doubted. Moissan’s scientific works include Le Four électrique (1897; “The Electric Furnace”), Le Fluor et ses composés (1900; “Fluorine and Its Compounds”), and Traité de chimie minérale, 5 vol. (1904–06; “Treatise on Inorganic Chemistry”). Charles Greeley Abbot, (born May 31, 1872, Wilton, N.H., U.S.—died Dec. 17, 1973, Riverdale, Md. ), American astrophysicist who, as director of the Smithsonian Astrophysical Observatory in Washington, D.C., for almost four decades, engaged in a career-long campaign to demonstrate that the Sun’s energy output varies and has a measurable effect on the Earth’s weather. The youngest of four children of a New Hampshire farming family, Abbot received an M.Sc. degree from the Massachusetts Institute of Technology in 1895 and was immediately hired as assistant to Samuel Pierpont Langley, the first director of the Smithsonian observatory. Abbot helped Langley map the infrared spectrum of the Sun and measure the total solar radiation energy received by the Earth over a given area and time—a value called the solar constant. 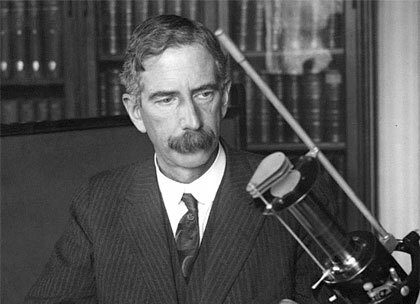 Assuming acting directorship of the observatory after Langley’s death in 1906 and directorship the next year, Abbot created a synoptic monitoring program to search for possible variations in the solar constant. Abbot soon persuaded himself that sizeable variations had been detected by his staff and that they correlated with variations in the Earth’s weather. In the belief that he had found an important key to weather prediction, he spent much of the next half century trying to convince the world of its reality. The cyclic variations that Abbot observed in the solar constant, amounting to as much as 3–5 percent, actually were due to changing weather conditions and incomplete analysis of his data, as subsequently shown by satellite observations above the atmosphere and computer analysis of the data. Abbot’s most important scientific legacies are the establishment of the modern value of the solar constant—previous estimates of which had ranged widely—at 1.93 calories per square centimetre per minute on a theoretical surface outside the atmosphere and his emphasis on the question of its variation. Modern reanalyses of Abbot’s data do show evidence for minute variations in the solar constant, confirmed by satellite observations, that are caused by changes in the number and intensity of sunspots and faculae on the solar surface. Abbot served as secretary of the Smithsonian Institution from 1928 until his retirement from both the institution and the observatory posts in 1944. To popularize the importance of solar energy, he designed solar heaters and cookers to use for lectures and demonstrations. Abbot continued to pursue his analysis of solar data in retirement, convinced of the correctness of the variations he had found. Alfred Adler, (born February 7, 1870, Penzing, Austria—died May 28, 1937, Aberdeen, Aberdeenshire, Scotland), psychiatrist whose influential system of individual psychology introduced the term inferiority feeling, later widely and often inaccurately called inferiority complex. He developed a flexible, supportive psychotherapy to direct those emotionally disabled by inferiority feelings toward maturity, common sense, and social usefulness. Throughout his life Adler maintained a strong awareness of social problems, and this served as a principal motivation in his work. From his earliest years as a physician (M.D., University of Vienna Medical School, 1895), he stressed consideration of the patient in relation to the total environment, and he began developing a humanistic, holistic approach to human problems. About 1900 Adler began to explore psychopathology within the context of general medicine and in 1902 became closely associated with Sigmund Freud. Gradually, however, differences between the two became irreconcilable, notably after the appearance of Adler’s Studie über Minderwertigkeit von Organen (1907; Study of Organ Inferiority and Its Psychical Compensation), in which he suggested that persons try to compensate psychologically for a physical disability and its attendant feeling of inferiority. Unsatisfactory compensation results in neurosis. Adler increasingly downplayed Freud’s basic contention that sexual conflicts in early childhood cause mental illness, and he further came to confine sexuality to a symbolic role in human strivings to overcome feelings of inadequacy. Outspokenly critical of Freud by 1911, Adler and a group of followers severed ties with Freud’s circle and began developing what they called individual psychology, first outlined in Über den nervösen Charakter (1912; The Neurotic Constitution). The system was elaborated in later editions of this work and in other writings, such as Menschenkenntnis (1927; Understanding Human Nature). Individual psychology maintains that the overriding motivation in most people is a striving for what Adler somewhat misleadingly termed superiority (i.e., self-realization, completeness, or perfection). This striving for superiority may be frustrated by feelings of inferiority, inadequacy, or incompleteness arising from physical defects, low social status, pampering or neglect during childhood, or other causes encountered in the course of life. Individuals can compensate for their feelings of inferiority by developing their skills and abilities, or, less healthily, they may develop an inferiority complex that comes to dominate their behaviour. Overcompensation for inferiority feelings can take the form of an egocentric striving for power and self-aggrandizing behaviour at others’ expense. Each person develops his personality and strives for perfection in his own particular way, in what Adler termed a style of life, or lifestyle. The individual’s lifestyle forms in early childhood and is partly determined by what particular inferiority affected him most deeply during his formative years. The striving for superiority coexists with another innate urge: to cooperate and work with other people for the common good, a drive that Adler termed the social interest. Mental health is characterized by reason, social interest, and self-transcendence; mental disorder by feelings of inferiority and self-centred concern for one’s safety and superiority or power over others. The Adlerian psychotherapist directs the patient’s attention to the unsuccessful, neurotic character of his attempts to cope with feelings of inferiority. Once the patient has become aware of these, the therapist builds up his self-esteem, helps him adopt more realistic goals, and encourages more useful behaviour and a stronger social interest. In 1921 Adler established the first child-guidance clinic in Vienna, soon thereafter opening and maintaining about 30 more there under his direction. 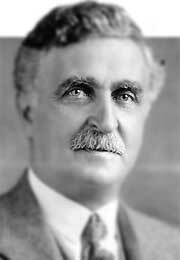 Adler first went to the United States in 1926 and became visiting professor at Columbia University in 1927. He was appointed visiting professor of the Long Island College of Medicine in New York in 1932. In 1934 the government in Austria closed his clinics. Many of his later writings, such as What Life Should Mean to You (1931), were directed to the general reader. Heinz L. and Rowena R. Ansbacher edited The Individual Psychology of Alfred Adler (1956) and Superiority and Social Interest (1964). Paul Percy Harris (April 19, 1868 – January 27, 1947) was a Chicago, Illinois, attorney. He founded Rotary International in 1905. Harris was born in Wisconsin to George and Cornilia Harris. He was the couple's second child. At age 3, when his family fell on hard times, Paul was moved with a sibling to Vermont to live with his paternal grandparents, Howard and Pamela Harris. Harris would later write about his parents: "Of all charges which might have been made against George and Cornelia, parsimony would have stood the least chance. They were both royal spenders." While living in Vermont, he attended Black River Academy in Ludlow, but was expelled after only a short time. At his secondary school in Rutland, he was known as a prankster. After secondary school, he attended the University of Vermont. In 1886, he was expelled in an incident involving a secret society. In the fall of 1887, he attended Princeton University. Due to the death of his grandfather in the spring of 1888, he did not return to school the following fall. Harris soon moved to Des Moines, Iowa, where he was apprenticed at a local law firm. After completing his apprenticeship, he studied law at the University of Iowa. He graduated with a Bachelor of Laws in June 1891. However, for the next five years, he worked odd jobs: for a newspaper as a salesman and a reporter, on fruit farms, as an actor and cowboy, and on cattle ships that traveled to Europe. In 1896, Harris moved to Chicago, eventually settling in the Morgan Park neighborhood, where he lived the rest of his life (except for spending summers in Michigan and winters in Alabama during his later years). It was 2 July 1910 in Chicago that Harris married Jean Thomson, a Scotswoman whom he had met at a local nature club. Jean traveled the world with Harris in support of Rotary. She helped to make women an important part of Rotary, eventually leading to all Rotary Clubs admitting women as full members. The couple never had any children. Harris began his law practice in 1896 in Chicago's main business district. He would be active in this practice for the next forty years. After establishing his law practice, Harris began to consider the benefits of formation a social organization for local professionals. In 1905, Harris organized the first Rotary Club "in fellowship and friendship" with three clients and local businessmen, Silvester Schele, Gustavus Loehr, and Hiram Shorey. His initial goal was solely to create a club of professional and business men for friendship and fellowship. Soon, Harris realized that Rotary needed a greater purpose. When Harris was elected as third president of the Chicago Rotary Club in 1907, the club initiated its first public service project, the construction of public toilets in Chicago. This step transformed Rotary into the world's first Service Club. This action was facilitated by the formation of the Executive Committee (now Ways and Means Committee). This Committee was open to all members and their noon meetings began tradition of club luncheon meetings. Harris had great ambitions for Rotary's growth, and very early in the organization's history new clubs were started, first on the west coast, and then all over the US and in Europe. By 1910, at least 15 new clubs had begun in major cities. That August, the existing 16 Rotary Clubs held a national convention in Chicago. There they unanimously chose to unify as the National Association of Rotary Clubs. Eventually, the organization became the International Association of Rotary Clubs, helping to realize Harris' dream worldwide. Through his work with the Rotary Club, Harris received awards from numerous national governments. In his later life, Harris reduced his involvement in both the Rotary Club and his legal practice, but continued to write. He often spent his winters in Alabama with his wife. In early 1946, while vacationing with his wife in Alabama, Harris grew ill. He returned to Beverly, Illinois, but never recovered fully. He died on 27 January 1947 at the age of 78. He was interred at the now-controversial Mount Hope Cemetery in Chicago's Morgan Park neighborhood. His autobiography, "My Road to Rotary" was published the following year. By the time of Harris' death, Rotary International had grown to more than 200,000 members in 75 countries. While the club provides a venue for both business and social networking, the primary focus is on local and international service projects. Currently numbers 1.2 million members worldwide. In cooperation with Rotary International, several towns have established a Rotary Heritage trail. It includes Harris' birthplace in Racine, Wisconsin and a downtown plaza/pedestrian park named after him, as well as the organization's current headquarters in Evanston, Illinois (with a reproduction of his law office), their home, and final resting place. Individuals who have contributed more than $1000 to the Annual Program Fund, the Polio Plus Fund or the Humanitarian Grants Program of the Rotary Foundation are recognized as Paul Harris Fellows. Additionally, individual Rotary clubs may from time to time honor individuals as Paul Harris Fellows. These honorees are individuals who meet high professional and personal standards set forth by Paul Harris. Paul Harris recognition is not limited to Rotarians. A Paul Harris Fellow receives a special certificate and a gold pin. At the discretion of the Fellow's club, the Fellow may also receive a gold medallion on a blue-and-gold ribbon. Multiple-time Paul Harris Fellows are recognized as they continue to contribute. Additionally, Paul Harris Fellows receive recognition points which they may contribute towards the recognition of other members as Paul Harris Fellows. The Paul Harris Society is a special program administered by Rotary Districts. Paul Harris Society members make a commitment to contribute $1000 each year to the Annual Program Fund. A Paul Harris Society member receives a "hanger" for their Paul Harris Fellow Pin with the initials PHS. Zénobe Théophile Gramme (4 April 1826 – 20 January 1901) was a Belgian electrical engineer. He was born at Jehay-Bodegnée on 4 April 1826, the sixth child of Mathieu-Joseph Gramme, and died at Bois-Colombes on 20 January 1901. He invented the Gramme machine, a type of direct current dynamo capable of generating smoother (less AC) and much higher voltages than the dynamos known to that point. Gramme was poorly educated and semi-literate throughout his life. His talent was in handicraft and when he left school became a joiner. After moving to Paris he took a job as a model maker at a company that manufactured electrical equipment and there became interested in technology. Having built an improved dynamo Gramme, in association with Hippolyte Fontaine, opened a factory to develop the device. The business, called Société des Machines Magnéto-Électriques Gramme, manufactured the Gramme dynamo, Gramme ring, Gramme armature and other devices. In 1873 a Gramme dynamo was exhibited at the Vienna exhibition. He was made an officer of the National Order of the Legion of Honour in 1877. In 1888 he was awarded the last of the valuable Volta Prizes by the French government. In 1873 he and Hippolyte Fontaine accidentally discovered that the device was reversible and would spin when connected to any DC power supply. The Gramme machine was the first usefully powerful electrical motor that was successful industrially. Before Gramme's inventions, electric motors attained only low power and were mainly used as toys or laboratory curiosities. In 1875, Nikola Tesla observed a Gramme machine at the Graz University of Technology. He conceived the idea of using it for alternating current but was unable to develop the idea at this time. In 1857 he married Hortense Nysten who was a widow and mother of a daughter, Héloïse. Hortense died in 1890. Gramme died at Bois-Colombes, France, on 20 January 1901 and was buried in Père Lachaise Cemetery. In the city of Liège there is a graduate school of engineering, l'Institut Gramme, named after him. In 2005 he ended at the 23rd place in the election of Le plus grand Belge (The Greatest Belgian), the television show broadcast by the French-speaking RTBF and based on the BBC show 100 Greatest Britons. A958 Zenobe Gramme, (1961–), a sailing ship of the Belgian Navy used for training, is named after him. William Seward Burroughs I (January 28, 1855 – September 15, 1898) was an American inventor born in Rochester, New York. Burroughs was the son of a mechanic and worked with machines throughout his childhood. While he was still a small boy, his parents moved to Auburn, New York, where he and his brothers were educated in the public school system. At this time Burroughs became interested in solving the problem of creating an adding machine. In the bank there had been a number of earlier prototypes, but in inexperienced users' hands, those that existed would sometimes give incorrect, and at times outrageous, answers. The clerk work was not in accordance with Burrough's wishes, for he had a natural love and talent for mechanics, and the boredom and monotony of clerical life weighed heavily upon him. Seven years in the bank damaged his health, and he was forced to resign. In the beginning of the 1880s (1880-1882) Burroughs was advised by a doctor to move to an area with a warmer climate and he moved to St. Louis, Missouri where he obtained a job in the Boyer Machine Shop. These new surroundings, which appealed to him more, hastened the development of the idea he had already in his mind, and the tools of his new craft gave him the opportunity to put into tangible form the first conception of the adding machine. Accuracy was the foundation of his work. No ordinary materials were good enough for his creation. His drawings were made on metal plates which could not expand or shrink by the smallest fraction of an inch. He worked with hardened tools, sharpened to fine points, and when he struck a center or drew a line, it was done under a microscope. So, he invented a "calculating machine" (first patent filed in 1885) designed to ease the monotony of clerical work. He was a founder of the American Arithmometer Company (1886), which later became the Burroughs Adding Machine Company (1904), then the Burroughs Corporation (1953) and in 1986, merged with Sperry Corporation to form Unisys. He was posthumously inducted into the National Inventors Hall of Fame. He was the grandfather of Beat Generation writer William S. Burroughs and great-grandfather of William S. Burroughs, Jr., who was also a writer. He died in Citronelle, Alabama and was interred in Bellefontaine Cemetery in St. Louis, Missouri. Abraham-Louis Breguet, (born Jan. 10, 1747, Neuchatel, Switz.—died Sept. 17, 1823, Paris), the leading French horologist of his time, known for the profusion of his inventions and the impeccable style of his designs. Breguet was apprenticed in 1762 to a watchmaker at Versailles. He took refuge in Switzerland during the French Revolution and, upon his return to France, became a principal watchmaker of the empire. Among Breguet’s many inventions and innovations were the overcoil, an improvement of the balance spring that was incorporated into many precision watches, and the tourbillon, an improvement that rendered the escapement immune to errors caused by the changing position of the watch while being carried. Breguet succeeded Pierre-Louis Berthoud as the official chronometer maker to the French navy in 1815 and was admitted to the French Academy of Sciences in 1816. Considered to be one of the greatest watchmakers of all time, Breguet had in his lifetime a worldwide reputation and clientele, and he influenced watchmaking throughout Europe. Elihu Thomson (March 29, 1853 – March 13, 1937) was an English-born American engineer and inventor who was instrumental in the founding of major electrical companies in the United States, the United Kingdom and France. He was born in Manchester (England) on March 29, 1853, but his family moved to Philadelphia (United States) in 1858. Thomson attended Central High School in Philadelphia and graduated in 1870. Thomson took a teaching position at Central, and in 1876, at the age of twenty-three, held the Chair of Chemistry. In 1880, he left Central to pursue research in the emerging field of electrical engineering. 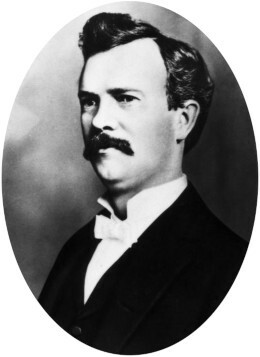 With Edwin J. Houston, a former teacher and later colleague of Thomson's at Central High School, Thomson founded the Thomson-Houston Electric Company. Notable inventions created by Thomson during this period include an arc-lighting system, an automatically regulated three-coil dynamo, a magnetic lightning arrester, and a local power transformer. In 1892 the Thomson-Houston Electric Company merged with the Edison General Electric Company to become the General Electric Company. The historian Thomas P. Hughes writes that Thomson "displayed methodological characteristics in the workshop and the laboratory as [an] inventor and in the business world as [an] entrepreneur. He also chose to solve problems in the rapidly expanding field of electric light and power." Thomson's name is further commemorated by the British Thomson-Houston Company (BTH), and the French companies Thomson and Alstom. Thomson was notable both for his emphasis on models and for the singular focus with which he pursued his research, with Thomson referring to his workshop as a "model room" rather than a laboratory. Between 1880 and 1885, Thomson averaged twenty-one patent applications annually, doubling that average between 1885 and 1890. Upon the merger of Thomson-Houston Electric Company (his namesake company) to form General Electric in 1892, Thomson chose to keep his laboratory at Lynn, Massachusetts near Boston away from GE's New York headquarters to ensure his control over his research. At the Lynn GE plant, he worked with Edwin Rice (later President of GE in 1913) and Sanford Moss (developer of the turbocharger) and Charles Steinmetz (who was located at GE headquarters in Schenectady, New York). After being asked to become a director of GE, Thomson rejected the offer preferring continued research to management. Thomson was the first recipient of the American Institute of Electrical Engineers AIEE (now Institute of Electrical and Electronics Engineers (IEEE)) Edison Medal, bestowed upon him in 1909 "For meritorious achievement in electrical science, engineering and arts as exemplified in his contributions thereto during the past thirty years. "; Thomson was also president of the organization from 1889-90. Near the end of his life, Thomson's second wife Clarissa Hovey Thomson is reported to have said that she had to carry a basket with her to carry all of Thomson's awards and honors. In 1889 he was decorated by the French Government for his electrical inventions, being made Chevalier et Officier de la Légion d'honneur. He received the honorary degree of A.M. from Yale (1890). Tufts College in 1892 gave him the degree of Ph.D., and in 1899 he received a D.Sc. from Harvard. He was a founding member, as well as the second president, of the International Electrotechnical Commission. He served as acting president of MIT from 1920-1923. Thomson, overcoming his distaste for management, accepted this role during a critical period for the university when it could not otherwise find a president. Thomson died at his estate in Swampscott, Massachusetts. The Elihu Thomson House in Swampscott was designated a U.S. National Historic Landmark in 1976 and serves as Swampscott's town hall. Thomson held more than 700 patents. Thomson used his patents to bolster his company, Thomson-Houston Company, later General Electric. Carlton Cole "Carl" Magee (January 1872 – February 1946) was an American lawyer and publisher. He also patented the first parking meter which was installed for use. He was born in Iowa. Magee graduated from Upper Iowa University in 1896. Magee founded the Magee's Independent in 1922, which would change its name to the New Mexico State Tribune in 1923 and to the Albuquerque Tribune in 1933. The Tribune became defunct in 2008. Magee was important in bringing the Teapot Dome Scandal to the fore. When a judge Magee had once accused of corruption knocked him down in a hotel lobby, Magee drew his pistol and fired, accidentally killing a bystander. Magee was acquitted of manslaughter, but moved to Oklahoma City to run the Oklahoma News. He was the paper's editor until he was transferred to the Oklahoma City News. Park-O-Meter is a parking meter production company headquartered in Russellville (Pope County). The predecessor company to the current Park-O-Meter, Inc. (or POM) was co-founded by Carl Magee, designer of the world’s first parking meter. Carl Magee was an attorney and newspaper editor who joined the Oklahoma City Chamber of Commerce traffic committee in 1933 and, shortly thereafter, was charged with lessening the escalating traffic congestion in the city’s downtown. Local merchants complained that their sales were hurt by low traffic turnover, since parking spaces adjacent to downtown businesses were occupied by the same cars all day. Magee conceived the idea of a coin-operated timer that could be used to increase traffic turnover in busy commercial thoroughfares, and he sponsored a contest at the University of Oklahoma to develop such a device. After the contest, Magee designed and patented his own model and sought Professors H. G. Thuesen and Gerald Hale from Oklahoma Agricultural and Mechanical College (now Oklahoma State University) to help him develop his model into an operating meter. The first model eventually created was powered by a clock-type mainspring, which required subsequent winding; this was accomplished by parking patrons after feeding coins into the meter. Magee later partnered with Gerald Hale to form the Magee-Hale Park-O-Meter Company, predecessor to the modern POM, Inc. The first parking meters were installed in downtown Oklahoma City on July 16, 1935, and charged five cents per hour. Businesses benefited greatly from the decreased parking congestion, but some outraged citizens complained and even initiated legal action in response to installation of the meters. Legal action failed to halt implementation of the meters, however, and the added benefits of revenue generation quickly led other cities to install parking meters of their own. The earliest Magee-Hale meters were manufactured in Oklahoma City and Tulsa, Oklahoma, by Rockwell International, which moved its meter production to Russellville in 1963. POM, Inc., as constituted today was organized in 1976 to purchase the parking meter production operations from Rockwell, as well as its Russellville plant. Magee switched from Republican to Democrat and ran unsuccessfully for the United States Senate. Magee died in Tulsa, Oklahoma in February 1946. 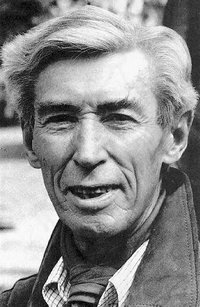 Hergé, pen name of Georgés Remi, (born May 22, 1907, Etterbeek, near Brussels, Belg.—died March 3, 1983, Brussels), Belgian cartoonist who created the comic strip hero Tintin, a teenage journalist. Over the next 50 years, Tintin’s adventures filled 23 albums and sold 70 million copies in some 30 languages. Throughout the years the young reporter remained recognizably the same, with his signature blond quiff and his plus fours. Hergé, whose pen name derived from the pronunciation of his transposed initials, published his first comic strip—Totor, de la Patrouille des Hannetons (“Totor of the June Bug Patrol”), for Le Boy-Scout Belge (“The Belgian Boy Scout”)—at age 19. In 1929 he created Tintin for the children’s supplement (a weekly feature called Le Petit Ventième) of the daily newspaper Le Vingtième Siècle. Tintin’s first adventure was later published as the album Tintin in the Land of the Soviets, but it was not until 1958 that The Black Island became the first Tintin album in English translation. It was followed, with growing success, by other albums taking Tintin and his friends on adventures in many different countries (though Hergé himself traveled little, preferring to live quietly in Brussels). The stories, which appealed to children because of their gentle humour and eventful plots, were never violent; the villains might be menacing and the plots filled with action, but in almost every case heroes and villains emerged largely unscathed. The drawings, especially in the later albums, lovingly portray the details of Tintin’s world, though they clearly reflect the attitudes of the era. A museum dedicated to the work of Hergé, designed by French architect Christian de Portzamparc, opened in Louvain-la-Neuve, Belg., in June 2009. Aaron Klug, (born August 11, 1926, Zelvas, Lithuania), British chemist who was awarded the 1982 Nobel Prize for Chemistry for his investigations of the three-dimensional structure of viruses and other particles that are combinations of nucleic acids and proteins, and for the development of crystallographic electron microscopy. Klug was taken by his parents from Lithuania to South Africa when he was three years old. He entered the University of the Witwatersrand at Johannesburg intending to study medicine, but he graduated with a science degree. He then began a doctoral program in crystallography at the University of Cape Town but left with a master’s degree upon receiving a fellowship at Trinity College, Cambridge, where he completed his doctorate in 1953. He then accepted a research fellowship at Birkbeck College of the University of London, undertaking the study of the structure of tobacco mosaic virus and other viruses. Klug’s discoveries were made in conjunction with his own development of the techniques of crystallographic electron microscopy, whereby series of electron micrographs, taken of two-dimensional crystals from different angles, can be combined to produce three-dimensional images of particles. His method has been widely used to study proteins and viruses. In 1958 Klug became director of the Virus Structure Research Group at Birkbeck. In 1962 (at the invitation of Francis Crick, who shared a Nobel Prize that year) Klug returned to Cambridge as a staff member of the Medical Research Council; in 1978 he was named joint head of its division of structural studies. He was knighted in 1988. Robert Koch, in full Robert Heinrich Hermann Koch, (born Dec. 11, 1843, Clausthal, Hannover [now Clausthal-Zellerfeld, Ger. ]—died May 27, 1910, Baden-Baden, Ger. ), German physician and one of the founders of bacteriology. He discovered the anthrax disease cycle (1876) and the bacteria responsible for tuberculosis (1882) and cholera (1883). For his discoveries in regard to tuberculosis, he received the Nobel Prize for Physiology or Medicine in 1905. Koch attended the University of Göttingen, where he studied medicine, graduating in 1866. He then became a physician in various provincial towns. After serving briefly as a field surgeon during the Franco-Prussian War of 1870–71, he became district surgeon in Wollstein, where he built a small laboratory. Equipped with a microscope, a microtome (an instrument for cutting thin slices of tissue), and a homemade incubator, he began his study of algae, switching later to pathogenic (disease-causing) organisms. One of Koch’s teachers at Göttingen had been the anatomist and histologist Friedrich Gustav Jacob Henle, who in 1840 had published the theory that infectious diseases are caused by living microscopic organisms. In 1850 the French parasitologist Casimir Joseph Davaine was among the first to observe organisms in the blood of diseased animals. In 1863 he reported the transmission of anthrax by the inoculation of healthy sheep with the blood of animals dying of the disease and the finding of microscopic rod-shaped bodies in the blood of both groups of sheep. Inspired by the work of the French microbiologist Louis Pasteur, Davaine showed that it was highly probable that, because the sheep did not become diseased in the absence of these rodlike bodies, anthrax was due to the presence of such organisms in the blood. The natural history of the disease was, nevertheless, far from complete. It was at that point that Koch began. He cultivated the anthrax organisms in suitable media on microscope slides, demonstrated their growth into long filaments, and discovered the formation within them of oval, translucent bodies—dormant spores. Koch found that the dried spores could remain viable for years, even under exposed conditions. The finding explained the recurrence of the disease in pastures long unused for grazing, for the dormant spores could, under the right conditions, develop into the rod-shaped bacteria (bacilli) that cause anthrax. The anthrax life cycle, which Koch had discovered, was announced and illustrated at Breslau in 1876, on the invitation of Ferdinand Cohn, an eminent botanist. Julius Cohnheim, a famous pathologist, was deeply impressed by Koch’s presentation. “It leaves nothing more to be proved,” he said. I regard it as the greatest discovery ever made with bacteria and I believe that this is not the last time that this young Robert Koch will surprise and shame us by the brilliance of his investigations. Cohn, whose discovery of spores had been published in 1875, was also very much impressed and generously helped to prepare the engraving for Koch’s epochal paper, which he also published. One of Cohn’s pupils, Joseph Schroeter, found that chromogenic (colour-forming) bacteria would grow on such solid substrates as potato, coagulated egg white, meat, and bread and that those colonies were capable of forming new colonies of the same colour, consisting of organisms of the same type. That was the starting point of Koch’s pure-culture techniques, which he worked out a few years later. That a disease organism might be cultured outside the body was a concept introduced by Louis Pasteur, but the pure-culture techniques for doing so were perfected by Koch, whose precise and ingenious experiments demonstrated the complete life cycle of an important organism. The anthrax work afforded for the first time convincing proof of the definite causal relation of a particular microorganism to a particular disease. In 1877 Koch published an important paper on the investigation, preservation, and photographing of bacteria. His work was illustrated by superb photomicrographs. In his paper he described his method of preparing thin layers of bacteria on glass slides and fixing them by gentle heat. Koch also invented the apparatus and the procedure for the very useful hanging-drop technique, whereby microorganisms could be cultured in a drop of nutrient solution on the underside of a glass slide. In 1878 Koch summarized his experiments on the etiology of wound infection. By inoculating animals with material from various sources, he produced six types of infection, each caused by a specific microorganism. He then transferred these infections by inoculation through several kinds of animals, reproducing the original six types. In that study, he observed differences in pathogenicity for different species of hosts and demonstrated that the animal body is an excellent apparatus for the cultivation of bacteria. 1. A specific microorganism is always associated with a given disease. 4. The same type of microorganism can be isolated from the newly infected animal. Koch concentrated his efforts on the study of tuberculosis, with the aim of isolating its cause. Although it was suspected that tuberculosis was caused by an infectious agent, the organism had not yet been isolated and identified. By modifying the method of staining, Koch discovered the tubercle bacillus and established its presence in the tissues of animals and humans suffering from the disease. A fresh difficulty arose when for some time it proved impossible to grow the organism in pure culture. But eventually Koch succeeded in isolating the organism in a succession of media and induced tuberculosis in animals by inoculating them with it. Its etiologic role was thereby established. On March 24, 1882, Koch announced before the Physiological Society of Berlin that he had isolated and grown the tubercle bacillus, which he believed to be the cause of all forms of tuberculosis. Meanwhile, Koch’s work was interrupted by an outbreak of cholera in Egypt and the danger of its transmission to Europe. As a member of a German government commission, Koch went to Egypt to investigate the disease. Although he soon had reason to suspect a particular comma-shaped bacterium (vibrio) as the cause of cholera, the epidemic ended before he was able to confirm his hypothesis. Nevertheless, he raised awareness of amebic dysentery and differentiated two varieties of Egyptian conjunctivitis. Proceeding to India, where cholera is endemic, he completed his task, identifying both the organism responsible for the disease and its transmission via drinking water, food, and clothing. Resuming his studies of tuberculosis, Koch investigated the effect an injection of dead bacilli had on a person who subsequently received a dose of living bacteria and concluded that he may have discovered a cure for the disease. In his studies he used as the active agent a sterile liquid produced from cultures of the bacillus. However, the liquid, which he named tuberculin (1890), proved disappointing, and sometimes dangerous, as a curative agent. Consequently, its importance as a means of detecting a present or past tubercular state was not immediately recognized (see tuberculin test). Additional work on tuberculosis came later, but, after the seeming debacle of tuberculin, Koch was also occupied with a great variety of investigations into diseases of humans and animals—studies of leprosy, bubonic plague, livestock diseases, and malaria. In 1901 Koch reported work done on the pathogenicity of the human tubercle bacillus in domestic animals. He believed that infection of human beings by bovine tuberculosis is so rare that it is not necessary to take any measures against it. That conclusion was rejected by commissions of inquiry in Europe and America but extensive and important work was stimulated by Koch. As a result, successful measures of prophylaxis were devised. Not an eloquent speaker, Koch was nevertheless by example, demonstration, and precept one of the most effective of teachers, and his numerous pupils—from the entire Western world and Asia—were the creators of the new era of bacteriology. His work on trypanosomes was of direct use to the eminent German bacteriologist Paul Ehrlich; that is only one example of Koch’s instigation of epochal work both within and beyond his own immediate sphere. His discoveries and his technical innovations were matched by his fundamental concepts of the etiology of disease. Long before his death, his place in the history of science was universally recognized. 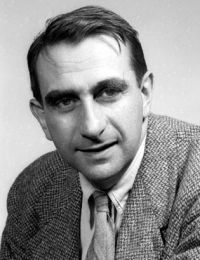 Edward Teller, Hungarian Ede Teller, (born Jan. 15, 1908, Budapest, Hung., Austria-Hungary—died Sept. 9, 2003, Stanford, Calif., U.S.), Hungarian-born American nuclear physicist who participated in the production of the first atomic bomb (1945) and who led the development of the world’s first thermonuclear weapon, the hydrogen bomb. Teller was from a family of prosperous Hungarian Jews. After attending schools in Budapest, he earned a degree in chemical engineering at the Institute of Technology in Karlsruhe, Ger. He then went to Munich and Leipzig to earn a Ph.D. in physical chemistry (1930). His doctoral thesis, on the hydrogen molecular ion, helped lay the foundation for a theory of molecular orbitals that remains widely accepted today. While a student in Munich, Teller fell under a moving streetcar and lost his right foot, which was replaced with an artificial one. 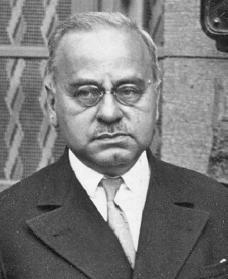 During the years of the Weimar Republic, Teller was absorbed with atomic physics, first studying under Niels Bohr in Copenhagen and then teaching at the University of Göttingen (1931–33). In 1935 Teller and his bride, Augusta Harkanyi, went to the United States, where he taught at George Washington University in Washington, D.C. Together with his colleague George Gamow, he established new rules for classifying the ways subatomic particles can escape the nucleus during radioactive decay. Following Bohr’s stunning report on the fission of the uranium atom in 1939 and inspired by the words of Pres. Franklin D. Roosevelt, who had called for scientists to act to defend the United States against Nazism, Teller resolved to devote his energies to developing nuclear weapons. By 1941 Teller had taken out U.S. citizenship and joined Enrico Fermi’s team at the University of Chicago in the epochal experiment to produce the first self-sustaining nuclear chain reaction. Teller then accepted an invitation from the University of California, Berkeley, to work on theoretical studies on the atomic bomb with J. Robert Oppenheimer; and when Oppenheimer set up the secret Los Alamos Scientific Laboratory in New Mexico in 1943, Teller was among the first men recruited. Although the Los Alamos assignment was to build a fission bomb, Teller digressed more and more from the main line of research to continue his own inquiries into a potentially much more powerful thermonuclear hydrogen fusion bomb. At war’s end he wanted the U.S. government’s nuclear weapons development priorities shifted to the hydrogen bomb. Hiroshima, however, had had a profound effect on Oppenheimer and other Manhattan Project scientists, and few had the desire to continue in nuclear weapons research. Teller accepted a position with the Institute for Nuclear Studies at the University of Chicago in 1946 but returned to Los Alamos as a consultant for extended periods. The Soviet Union’s explosion of an atomic bomb in 1949 made him more determined that the United States have a hydrogen bomb, but the Atomic Energy Commission’s general advisory committee, which was headed by Oppenheimer, voted against a crash program to develop one. The debate was settled by the confession of the British atomic scientist Klaus Fuchs that he had been spying for the Soviet Union since 1942. Fuchs had known of the American interest in a hydrogen bomb and had passed along early American data on it to the Soviets. In response, Pres. Harry Truman ordered the go-ahead on the weapon, and Teller laboured on at Los Alamos to make it a reality. Teller and his colleagues at Los Alamos made little actual progress in designing a workable thermonuclear device until early in 1951, when the physicist Stanislaw Marcin Ulam proposed to use the mechanical shock of an atomic bomb to compress a second fissile core and make it explode; the resulting high density would make the burning of the second core’s thermonuclear fuel much more efficient. Teller in response suggested that radiation, rather than mechanical shock, from the atomic bomb’s explosion be used to compress and ignite the thermonuclear second core. Together these new ideas provided a firm basis for a fusion weapon, and a device using the Teller-Ulam configuration, as it is now known, was successfully tested at Enewetak atoll in the Pacific on Nov. 1, 1952; it yielded an explosion equivalent to 10 million tons (10 megatons) of TNT. Teller was subsequently credited with developing the world’s first thermonuclear weapon, and he became known in the United States as “the father of the H-bomb.” Ulam’s key role in conceiving the bomb design did not emerge from classified government documents and other sources until nearly three decades after the event. Still, Teller’s stubborn pursuit of the weapon in the face of skepticism, and even hostility, from many of his peers played a major role in the bomb’s development. At the U.S. government hearings held in 1954 to determine whether Oppenheimer was a security risk, Teller’s testimony was decidedly unsympathetic to his former chief. “I would feel personally more secure,” he told the inquiry board, “if public matters would rest in other hands.” After the hearings’ end, Oppenheimer’s security clearance was revoked, and his career as a science administrator was at an end. Although Teller’s testimony was by no means the decisive factor in this outcome, many prominent American nuclear physicists never forgave him for what they viewed as his betrayal of Oppenheimer. Teller was instrumental in the creation of the United States’ second nuclear weapons laboratory, the Lawrence Livermore National Laboratory, in Livermore, Calif., in 1952. For almost the next four decades it was the United States’ chief factory for making thermonuclear weapons. Teller was associate director of Livermore from 1954 to 1958 and from 1960 to 1975, and he was its director in 1958–60. Concurrently he was professor of physics at the University of California, Berkeley, from 1953 to 1960 and was professor-at-large there until 1970. A staunch anticommunist, Teller devoted much time in the 1960s to his crusade to keep the United States ahead of the Soviet Union in nuclear arms. He opposed the 1963 Nuclear Test Ban Treaty, which banned nuclear weapons testing in the atmosphere, and he was a champion of Project Plowshare, an unsuccessful federal government program to find peaceful uses for atomic explosives. In the 1970s Teller remained a prominent government adviser on nuclear weapons policy, and in 1982–83 he was a major influence in Pres. Ronald Reagan’s proposal of the Strategic Defense Initiative, an attempt to create a defense system against nuclear attacks by the Soviet Union. In 2003 Teller was awarded the Presidential Medal of Freedom. László József Bíró or Ladislao José Biro (born as László József Schweiger, 29 September 1899 – 24 October 1985) was an Argentinian-Hungarian inventor, who patented the first commercially successful modern ballpoint pen. Bíró was born to a Hungarian Jewish family in Budapest, Hungary, in 1899 to Mózes Mátyás Schweiger and Janka née Ullmann. He had a brother, György Bíró. After leaving school, he began work as a journalist in Hungary. It was while working as a journalist that he noticed that the ink used in newspaper printing dried quickly, leaving the paper dry and smudge-free. He tried using the same ink in a fountain pen but found that it would not flow into the tip, as it was too viscous. He presented the first production of the ballpoint pen at the Budapest International Fair in 1931. Working with his brother György, a chemist, he developed a new tip consisting of a ball that was free to turn in a socket, and as it turned it would pick up ink from a cartridge and then roll to deposit it on the paper. Bíró patented the invention in Paris in 1938. During World War II, Bíró was forced to flee the Nazis. In 1943, the brothers moved to Argentina. On 10 June, they filed another patent, issued in the US as 2,390,636 Writing Instrument, and formed Biro Pens of Argentina (in Argentina the ballpoint pen is known as birome). This new design was licensed for production in the United Kingdom for supply to Royal Air Force aircrew, who found they worked much better than fountain pens at high altitude. In 1945, Marcel Bich bought the patent from Bíró for the pen, which soon became the main product of his Bic company, which has sold more than 100 billion ballpoint pens worldwide. In November of that same year, promoter Milton Reynolds introduced a gravity-fed pen to the U.S. market. The Reynolds Pen was a sensation for a few years, until its reputation for leaking and competition from established pen manufacturers overtook it. Bíró's patent was based on capillary action, which caused ink to be drawn out of the pen as it was deposited on the paper. Because the Reynolds workaround depended on gravity, it did not infringe but required thinner ink and a larger barrel. László Bíró died in Buenos Aires, Argentina in 1985. Argentina's Inventors' Day is celebrated on Bíró's birthday, 29 September. On 29 September 2016, the 117th anniversary of his birth, Google commemorated Bíró with a Google Doodle for "his relentless, forward-thinking spirit". A ballpoint pen is widely referred to as a "biro" in many countries, including the UK, Ireland, Australia and Italy. Although the word is a registered trademark, in some countries it has become genericised. Louis Pasteur, (born December 27, 1822, Dole, France—died September 28, 1895, Saint-Cloud), French chemist and microbiologist who was one of the most important founders of medical microbiology. Pasteur’s contributions to science, technology, and medicine are nearly without precedent. He pioneered the study of molecular asymmetry; discovered that microorganisms cause fermentation and disease; originated the process of pasteurization; saved the beer, wine, and silk industries in France; and developed vaccines against anthrax and rabies. Pasteur’s academic positions were numerous, and his scientific accomplishments earned him France’s highest decoration, the Legion of Honour, as well as election to the Académie des Sciences and many other distinctions. Today there are some 30 institutes and an impressive number of hospitals, schools, buildings, and streets that bear his name—a set of honours bestowed on few scientists. Pasteur’s father, Jean-Joseph Pasteur, was a tanner and a sergeant major decorated with the Legion of Honour during the Napoleonic Wars. This fact probably instilled in the younger Pasteur the strong patriotism that later was a defining element of his character. Louis Pasteur was an average student in his early years, but he was gifted in drawing and painting. His pastels and portraits of his parents and friends, made when he was 15, were later kept in the museum of the Pasteur Institute in Paris. After attending primary school in Arbois, where his family had moved, and secondary school in nearby Besançon, he earned his bachelor of arts degree (1840) and bachelor of science degree (1842) at the Royal College of Besançon. In 1843 Pasteur was admitted to the École Normale Supérieure (a teachers’ college in Paris), where he attended lectures by French chemist Jean-Baptiste-André Dumas and became Dumas’s teaching assistant. Pasteur obtained his master of science degree in 1845 and then acquired an advanced degree in physical sciences. He later earned his doctorate in sciences in 1847. Pasteur was appointed professor of physics at the Dijon Lycée (secondary school) in 1848 but shortly thereafter accepted a position as professor of chemistry at the University of Strasbourg. On May 29, 1849, he married Marie Laurent, the daughter of the rector of the university. The couple had five children; however, only two survived childhood. Soon after graduating from the École Normale Supérieure, Pasteur became puzzled by the discovery of the German chemist Eilhardt Mitscherlich, who had shown that tartrates and paratartrates behaved differently toward polarized light: tartrates rotated the plane of polarized light, whereas paratartrates did not. This was unusual because the compounds displayed identical chemical properties. Pasteur noted that the tartrate crystals exhibited asymmetric forms that corresponded to their optical asymmetry. He made the surprising observation that crystalline paratartrate consisted of a mixture of crystals in a right-handed configuration. However, when these crystals were separated manually, he found that they exhibited right and left asymmetry. In other words, a balanced mixture of both right and left crystals was optically inactive. Thus, Pasteur discovered the existence of molecular asymmetry, the foundation of stereochemistry, as it was revealed by optical activity. Over the course of the next 10 years, Pasteur further investigated the ability of organic substances to rotate the plane of polarized light. He also studied the relationship that existed between crystal structure and molecular configuration. His studies convinced him that asymmetry was one of the fundamental characteristics of living matter. In 1854 Pasteur was appointed professor of chemistry and dean of the science faculty at the University of Lille. While working at Lille, he was asked to help solve problems related to alcohol production at a local distillery, and thus he began a series of studies on alcoholic fermentation. His work on these problems led to his involvement in tackling a variety of other practical and economic problems involving fermentation. His efforts proved successful in unraveling most of these problems, and new theoretical implications emerged from his work. Pasteur investigated a broad range of aspects of fermentation, including the production of compounds such as lactic acid that are responsible for the souring of milk. He also studied butyric acid fermentation. In 1857 Pasteur left Lille and returned to Paris, having been appointed manager and director of scientific studies at the École Normale Supérieure. That same year he presented experimental evidence for the participation of living organisms in all fermentative processes and showed that a specific organism was associated with each particular fermentation. This evidence gave rise to the germ theory of fermentation. The realization that specific organisms were involved in fermentation was further supported by Pasteur’s studies of butyric acid fermentation. These studies led Pasteur to the unexpected discovery that the fermentation process could be arrested by passing air (that is, oxygen) through the fermenting fluid, a process known today as the Pasteur effect. He concluded that this was due to the presence of a life-form that could function only in the absence of oxygen. This led to his introduction of the terms aerobic and anaerobic to designate organisms that live in the presence or absence of oxygen, respectively. He further proposed that the phenomena occurring during putrefaction were due to specific germs that function under anaerobic conditions. Pasteur readily applied his knowledge of microbes and fermentation to the wine and beer industries in France, effectively saving the industries from collapse due to problems associated with production and with contamination that occurred during export. In 1863, at the request of the emperor of France, Napoleon III, Pasteur studied wine contamination and showed it to be caused by microbes. To prevent contamination, Pasteur used a simple procedure: he heated the wine to 50–60 °C (120–140 °F), a process now known universally as pasteurization. Today pasteurization is seldom used for wines that benefit from aging, since it kills the organisms that contribute to the aging process, but it is applied to many foods and beverages, particularly milk. Following Pasteur’s success with wine, he focused his studies on beer. By developing practical techniques for the control of beer fermentation, he was able to provide a rational methodology for the brewing industry. He also devised a method for the manufacturing of beer that prevented deterioration of the product during long periods of transport on ships. Fermentation and putrefaction were often perceived as being spontaneous phenomena, a perception stemming from the ancient belief that life could generate spontaneously. During the 18th century the debate was pursued by the English naturalist and Roman Catholic divine John Turberville Needham and the French naturalist Georges-Louis Leclerc, count de Buffon. While both supported the idea of spontaneous generation, Italian abbot and physiologist Lazzaro Spallanzani maintained that life could never spontaneously generate from dead matter. In 1859, the year English naturalist Charles Darwin published his On the Origin of Species, Pasteur decided to settle this dispute. He was convinced that his germ theory could not be firmly substantiated as long as belief in spontaneous generation persisted. Pasteur attacked the problem by using a simple experimental procedure. He showed that beef broth could be sterilized by boiling it in a “swan-neck” flask, which has a long bending neck that traps dust particles and other contaminants before they reach the body of the flask. However, if the broth was boiled and the neck of the flask was broken off following boiling, the broth, being reexposed to air, eventually became cloudy, indicating microbial contamination. These experiments proved that there was no spontaneous generation, since the boiled broth, if never reexposed to air, remained sterile. This not only settled the philosophical problem of the origin of life at the time but also placed on solid ground the new science of bacteriology, which relied on proven techniques of sterilization and aseptic manipulation. In 1862 Pasteur was elected to the Académie des Sciences, and the following year he was appointed professor of geology, physics, and chemistry at the École des Beaux-Arts (School of Fine Arts). Shortly after this, Pasteur turned his attention to France’s silkworm crisis. In the middle of the 19th century, a mysterious disease had attacked French silkworm nurseries. Silkworm eggs could no longer be produced in France, and they could not be imported from other countries, since the disease had spread all over Europe and had invaded the Caucasus region of Eurasia, as well as China and Japan. By 1865 the silkworm industry was almost completely ruined in France and, to a lesser extent, in the rest of western Europe. Pasteur knew virtually nothing about silkworms, but, upon the request of his former mentor Dumas, Pasteur took charge of the problem, accepting the challenge and seizing the opportunity to learn more about infectious diseases. He soon became an expert silkworm breeder and identified the organisms that caused the silkworm disease. After five years of research, he succeeded in saving the silk industry through a method that enabled the preservation of healthy silkworm eggs and prevented their contamination by the disease-causing organisms. Within a couple of years, this method was recognized throughout Europe; it is still used today in silk-producing countries. In 1867 Pasteur resigned from his administrative duties at the École Normale Supérieure and was appointed professor of chemistry at the Sorbonne, a university in Paris. Although he was partially paralyzed (left hemiplegia) in 1868, he continued his research. For Pasteur, the study of silkworms constituted an initiation into the problem of infectious diseases, and it was then that he first became aware of the complexities of infectious processes. Accustomed as he was to the constancy and accuracy of laboratory procedures, he was puzzled by the variability of animal life, which he had come to recognize through his observation that individual silkworms differed in their response to disease depending on physiological and environmental factors. By investigating these problems, Pasteur developed certain practices of epidemiology that served him well a few years later when he dealt with animal and human diseases. 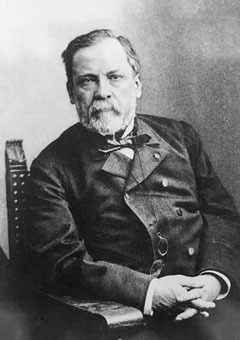 In the early 1870s Pasteur had already acquired considerable renown and respect in France, and in 1873 he was elected as an associate member of the Académie de Médecine. Nonetheless, the medical establishment was reluctant to accept his germ theory of disease, primarily because it originated from a chemist. However, during the next decade, Pasteur developed the overall principle of vaccination and contributed to the foundation of immunology. Pasteur’s first important discovery in the study of vaccination came in 1879 and concerned a disease called chicken cholera. (Today the bacteria that cause the disease are classified in the genus Pasteurella.) Pasteur said, “Chance only favours the prepared mind,” and it was chance observation through which he discovered that cultures of chicken cholera lost their pathogenicity and retained “attenuated” pathogenic characteristics over the course of many generations. He inoculated chickens with the attenuated form and demonstrated that the chickens were resistant to the fully virulent strain. From then on, Pasteur directed all his experimental work toward the problem of immunization and applied this principle to many other diseases. Pasteur began investigating anthrax in 1879. At that time an anthrax epidemic in France and in some other parts of Europe had killed a large number of sheep, and the disease was attacking humans as well. 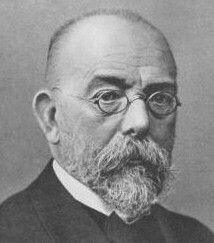 German physician Robert Koch announced the isolation of the anthrax bacillus, which Pasteur confirmed. Koch and Pasteur independently provided definitive experimental evidence that the anthrax bacillus was indeed responsible for the infection. This firmly established the germ theory of disease, which then emerged as the fundamental concept underlying medical microbiology. Pasteur wanted to apply the principle of vaccination to anthrax. He prepared attenuated cultures of the bacillus after determining the conditions that led to the organism’s loss of virulence. In the spring of 1881 he obtained financial support, mostly from farmers, to conduct a large-scale public experiment of anthrax immunization. The experiment took place in Pouilly-le-Fort, located on the southern outskirts of Paris. Pasteur immunized 70 farm animals, and the experiment was a complete success. The vaccination procedure involved two inoculations at intervals of 12 days with vaccines of different potencies. One vaccine, from a low-virulence culture, was given to half the sheep and was followed by a second vaccine from a more virulent culture than the first. Two weeks after these initial inoculations, both the vaccinated and control sheep were inoculated with a virulent strain of anthrax. Within a few days all the control sheep died, whereas all the vaccinated animals survived. This convinced many people that Pasteur’s work was indeed valid. Following the success of the anthrax vaccination experiment, Pasteur focused on the microbial origins of disease. His investigations of animals infected by pathogenic microbes and his studies of the microbial mechanisms that cause harmful physiological effects in animals made him a pioneer in the field of infectious pathology. It is often said that English surgeon Edward Jenner discovered vaccination and that Pasteur invented vaccines. Indeed, almost 90 years after Jenner initiated immunization against smallpox, Pasteur developed another vaccine—the first vaccine against rabies. He had decided to attack the problem of rabies in 1882, the year of his acceptance into the Académie Française. Rabies was a dreaded and horrible disease that had fascinated popular imagination for centuries because of its mysterious origin and the fear it generated. Conquering it would be Pasteur’s final endeavour. Pasteur suspected that the agent that caused rabies was a microbe (the agent was later discovered to be a virus, a nonliving entity). It was too small to be seen under Pasteur’s microscope, and so experimentation with the disease demanded the development of entirely new methodologies. Pasteur chose to conduct his experiments using rabbits and transmitted the infectious agent from animal to animal by intracerebral inoculations until he obtained a stable preparation. In order to attenuate the invisible agent, he desiccated the spinal cords of infected animals until the preparation became almost nonvirulent. He realized later that, instead of creating an attenuated form of the agent, his treatment had actually neutralized it. (Pasteur perceived the neutralizing effect as a killing effect on the agent, since he suspected that the agent was a living organism.) Thus, rather unknowingly, he had produced, instead of attenuated live microorganisms, a neutralized agent and opened the way for the development of a second class of vaccines, known as inactivated vaccines. On July 6, 1885, Pasteur vaccinated Joseph Meister, a nine-year-old boy who had been bitten by a rabid dog. The vaccine was so successful that it brought immediate glory and fame to Pasteur. Hundreds of other bite victims throughout the world were subsequently saved by Pasteur’s vaccine, and the era of preventive medicine had begun. An international fund-raising campaign was launched to build the Pasteur Institute in Paris, the inauguration of which took place on November 14, 1888. Thus, virulence appears in a new light which may be disturbing for the future of humanity unless nature, in its long evolution, has already had the occasions to produce all possible contagious diseases—a very unlikely assumption. What is a microorganism that is innocuous to man or to a given animal species? It is a living being which does not possess the capacity to multiply in our body or in the body of the animal. But nothing proves that if the same microorganism should chance to come into contact with some other of the thousands of animal species in the Creation, it might invade it and render it sick. Its virulence might increase by repeated passages through that species, and might eventually affect man or domesticated animals. Thus might be brought about a new virulence and new contagions. I am much inclined to believe that such mechanisms would explain how smallpox, syphilis, plague, yellow fever, etc. have come about in the course of time, and how certain great epidemics appear once in a while. Pasteur was the first to recognize variability in virulence. Today this concept remains relevant to the study of infectious disease, especially with regard to understanding the emergence of diseases such as bovine spongiform encephalopathy (BSE), severe acute respiratory syndrome (SARS), and acquired immunodeficiency syndrome (AIDS). After Pasteur’s 70th birthday, which was acknowledged by a large but solemn celebration at the Sorbonne that was attended by several prominent scientists, including British surgeon Joseph Lister, Pasteur’s health continued to deteriorate. His paralysis worsened, and he died on September 28, 1895. He was buried in the cathedral of Notre-Dame de Paris, but his remains were transferred to a Neo-Byzantine crypt at the Pasteur Institute in 1896. During Pasteur’s career, he touched on many problems, but a simple description of his achievements does not do justice to the intensity and fullness of his life. He never accepted defeat, and he always tried to convince skeptics, though his impatience and intolerance were notorious when he believed that truth was on his side. Throughout his life he was an immensely effective observer and readily integrated relevant observations into conceptual schemes. Georges Claude, (born Sept. 24, 1870, Paris, France—died May 23, 1960, Saint-Cloud), engineer, chemist, and inventor of the neon light, which found widespread use in signs and was the forerunner of the fluorescent light. In 1897 Claude discovered that acetylene gas could be transported safely by dissolving it in acetone. His method was generally adopted and brought a wide expansion to the acetylene industry. Independently of the German chemist Carl von Linde, he developed a process for producing liquefied air in quantity (1902). Although he proposed the use of liquid oxygen in iron smelting as early as 1910, his suggestion was not adopted until after World War II. While studying the inert gases, Claude found that passing electrical current through them produced light, and in 1910 he developed the neon lamp for use in lighting and signs. With the introduction of inner fluorescent coatings, the fluorescent light was developed and began to replace the incandescent lamp in industrial and certain home-lighting uses. Claude also developed a process for the manufacture of ammonia in 1917 that was similar to the process developed by the German chemist Fritz Haber. In his efforts to find new sources of energy, he conducted experiments in producing electricity from the difference in temperature between the ocean floor and the surface. A supporter of the Vichy government during World War II, Claude was afterward imprisoned as a German collaborator from 1945 to 1949. Although Georges Claude made his fortune by inventing the neon light, his other scientific advancements were just as important as his lucky contribution to the advertising business. Claude began his career in the municipal electricity works of Paris, where he experienced a near-fatal accident with a high-tension wire that led him to develop better safety precautions. In 1897, he invented a novel way to transport and store the dangerously flammable gas acetylene. He dissolved the gas in a liquid, acetone, which made it much easier and safer to handle. This idea greatly facilitated the industrial use of acetylene as an organic chemical. Then in 1902, Claude developed a process to make liquid air in commercial quantities, around the same time that German chemist Karl Paul Gottfried von Linde invented a similar process. Claude also improved methods of generating power from the energy released when liquid oxygenisre-gasified. When the renowned Scottish chemist Sir William Ramsay (1852-1916) needed liquid oxygen for his research on inert gases, it was Georges Claude who supplied it. As a result, Claude himself became interested in the inertgases, a group of gases that is relatively non-reactive. In 1910, Claude showed that neon gas would glow with colored light when electricity was discharged in a neon-filled tube. He also invented a means of purifying the gas in the tube using a charcoal filter. Claude's development of neon tubes, which could be twisted to form letters and pictures, soon created quite a stir in the advertising industry and made him a rich man. With the threat of World War I, Claude undertook more serious ventures. First he produced liquid chlorine, which was used in poison gas attacks. Then in 1917, he developed a higher pressure, less expensive process to synthesize ammonia, another important industrial chemical and fertilizer. Based on earlier work by fellow French chemist Henri Le Châtelier (1850-1936), Claude's process was similar to one developed independently by Fritz Haber, a German chemist. Georges Claude's intimate understanding of thermodynamics--the conversion of heat into mechanical work--also resulted in a visionary project that is just now being reexamined. Claude was one of the first scientists to realize that electric energy could be produced using the difference in temperature between the ocean's warm surface water and its colder depths. Although Claude's project ended in dismal failure in 1933, researchers today are evaluating the possibilities of this alternative approach to power generation. Whatever research Claude undertook after World War II was not recorded. Because of certain statements he made during the war, Claude was convicted of collaborating with Nazi Germany and spent some years in prison before he was freed by the efforts of his friends. He died in 1960. 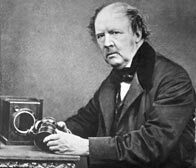 William Henry Fox Talbot, (born Feb. 11, 1800, Melbury Sampford, Dorset, Eng.—died Sept. 17, 1877, Lacock Abbey, near Chippenham, Wiltshire), English chemist, linguist, archaeologist, and pioneer photographer. He is best known for his development of the calotype, an early photographic process that was an improvement over the daguerreotype of the French inventor L.-J.-M. Daguerre. Talbot’s calotypes involved the use of a photographic negative, from which multiple prints could be made; had his method been announced but a few weeks earlier, he and not Daguerre would probably have been known as the founder of photography. Talbot was educated at Harrow and at Trinity College, Cambridge, and published many articles in the fields of mathematics, astronomy, and physics. He briefly served in Parliament (1833–34) and in 1835 published his first article documenting a photographic discovery, that of the paper negative. These so-called photogenic drawings were basically contact prints on light-sensitive paper, which unfortunately produced dark and spotty images. In 1840 he modified and improved this process and called it the calotype (later the talbotype). Unlike the original process, it used a much shorter exposure time and a development process following exposure. Talbot patented the process in 1841 and was reluctant to share his knowledge with others, which lost him many friends and much information. In 1842 Talbot received a medal from the British Royal Society for his experiments with the calotype. Talbot’s The Pencil of Nature (1844–46), published in six installments, was the first book with photographic illustrations. Its 24 (of a proposed 50) plates document the beginnings of photography primarily through studies of art objects and architecture. In 1851 Talbot discovered a way of taking instantaneous photographs, and his “photolyphic engraving” (patented in 1852 and 1858), a method of using printable steel plates and muslin screens to achieve quality middle tones of photographs on printing plates, was the precursor to the development in the 1880s of the more successful halftone plates. Glenn T. Seaborg, in full Glenn Theodore Seaborg, (born April 19, 1912, Ishpeming, Mich., U.S.—died Feb. 25, 1999, Lafayette, Calif.), American nuclear chemist best known for his work on isolating and identifying transuranium elements (those heavier than uranium). He shared the 1951 Nobel Prize for Chemistry with Edwin Mattison McMillan for their independent discoveries of transuranium elements. Seaborgium was named in his honour, making him the only person for whom a chemical element was named during his lifetime. Seaborg learned Swedish from his immigrant mother before he learned English. When he was 10, his family moved to a suburb of Los Angeles. He received a bachelor’s degree (1934) from the University of California, Los Angeles, and a doctorate (1937) from the University of California, Berkeley. He stayed on at Berkeley as the personal laboratory assistant of Gilbert N. Lewis from 1937 to 1939. He also collaborated at Berkeley with physicist Jack Livingood to isolate a number of radioactive isotopes, including iodine-131, which later saved his mother’s life and is now used for the diagnosis and treatment of thyroid disorders. At Berkeley he was, successively, research associate, instructor, and assistant professor (1937–45), becoming professor of chemistry in 1946. He served as Berkeley’s chancellor from 1958 to 1961. Seaborg, together with Arthur C. Wahl and Joseph W. Kennedy, produced and identified the second known transuranium element, plutonium (atomic number 94), on Feb. 23, 1941, in Room 307 of Gilman Hall, which is now a National Historic Landmark. (McMillan had discovered the first transuranium element, neptunium [atomic number 93], the previous year at Berkeley.) In addition to plutonium, best known for its use as a fuel in certain types of nuclear reactors and as an ingredient in some nuclear weapons, Seaborg and his coworkers discovered nine more new elements (atomic numbers 95–102 and 106) between 1941 and 1955. The other new elements discovered by Seaborg were americium (95), curium (96), berkelium (97), californium (98), einsteinium (99), fermium (100), mendelevium (101), nobelium (102), and seaborgium (106). By chance, Seaborg first announced the discovery of elements 95 and 96 in response to a question on a Nov. 11, 1945, Quiz Kids radio program. The prediction of the chemical properties, method of isolation, and placement of these and many heavier elements in the periodic table of the elements was helped greatly by an important organizing principle enunciated by Seaborg in 1944 and known as the actinide concept. This was one of the most significant changes in the periodic table since Russian chemist Dmitry Mendeleyev’s original conception in 1869. Seaborg recognized that the 14 elements heavier than actinium (89) are closely related to it and belong to a separate group in the periodic table, the actinide elements (now actinoid elements), analogous to the 14 elements heavier than lanthanum (57), the lanthanoids or rare earth elements. 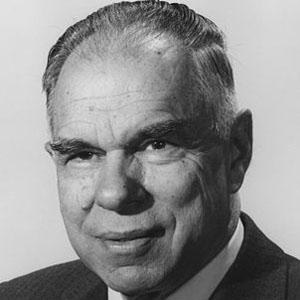 A lifelong aficionado of athletics, Seaborg in 1958 helped establish the Athletic Association of Western Universities (now the Pacific-12 Conference). His activities and honours—governmental, academic, and educational—were so multifaceted and extensive that he was cited in the 'Guinness Book of World Records' as having the longest entry in 'Who’s Who in America'. In 1971 Seaborg returned to the University of California, Berkeley, where he served as university professor, associate director-at-large of the Lawrence Berkeley Laboratory, and chairman of the Lawrence Hall of Science (1984–99). He died from complications of a stroke that he suffered in Boston in August 1998 at a national meeting of the American Chemical Society, the world’s largest organization devoted to a single science, in which he was very active, serving as president in 1976. Seaborg was the author of 'The Transuranium Elements (1958), Man-Made Transuranium Elements (1963), Nuclear Milestones: A Collection of Speeches by Glenn T. Seaborg (1972)', and 'A Chemist in the White House: From the Manhattan Project to the End of the Cold War (1998)', which chronicles scientific and political issues through his decades of public service, including excerpts from journals and policy-making letters. Shortly after winning the Nobel Prize, Seaborg wrote a number of entries for the 14th edition of the Encyclopædia Britannica, among them the article on plutonium for the 1953 printing. Robert Bunsen, in full Robert Wilhelm Bunsen, (born March 30, 1811, Göttingen, Westphalia [Germany]—died August 16, 1899, Heidelberg), German chemist who, with Gustav Kirchhoff, about 1859 observed that each element emits a light of characteristic wavelength. Such studies opened the field of spectrum analysis, which became of great importance in the study of the Sun and stars and also led Bunsen almost immediately to his discovery of two alkali-group metals, cesium and rubidium. 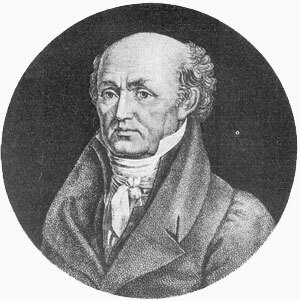 After taking a Ph.D. in chemistry at the University of Göttingen (1830), Bunsen taught at the Universities of Marburg and Breslau and elsewhere. As professor at Heidelberg (1852–99), he built up an excellent school of chemistry. Never married, he lived for his students, with whom he was very popular, and his laboratory. He chiefly concerned himself with experimental and analytical work. He found an antidote to a chemical poisoning in freshly precipitated hydrated ferric oxide (1834). In 1837 he began his only notable venture into organic chemistry with a study of the highly toxic compound cacodyl. During six years of work with it, he lost the sight in one eye from an explosion and nearly killed himself from chemical poisoning. His research led to profitable studies of organometallic compounds by his student Edward Frankland. Eventually, Bunsen barred organic research in his laboratory. Bunsen’s studies of the composition of gases given off from blast furnaces showed that 50 to 80 percent or more of the heat was wasted and led to elaboration of his methods of measuring volumes of gases in his only publication, Gasometrische Methoden (1857). In 1841 he invented a carbon-zinc electric cell (battery) known by his name. To measure the light produced by it, he developed the grease-spot photometer (1844). He was the first to obtain magnesium in the metallic state and study its physical and chemical properties, demonstrating the brilliance and reaction-producing (actinic) qualities of the flame when magnesium is burned in air. 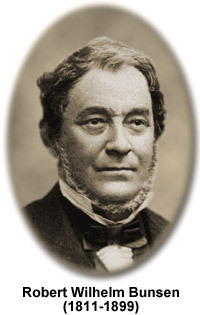 Bunsen also invented the filter pump (1868), the ice calorimeter (1870), and the vapour calorimeter (1887). Though he is generally credited with the invention of the Bunsen burner, he seems to have contributed to its development only in a minor way. 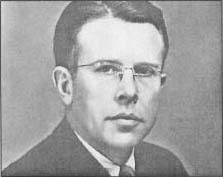 Ernest Orlando Lawrence, (born August 8, 1901, Canton, South Dakota, U.S.—died August 27, 1958, Palo Alto, California), American physicist, winner of the 1939 Nobel Prize for Physics for his invention of the cyclotron, the first particle accelerator to achieve high energies. Lawrence earned a Ph.D. at Yale University in 1925. An assistant professor of physics at Yale (1927–28), he went to the University of California, Berkeley, as an associate professor and became full professor there in 1930. Lawrence first conceived the idea for the cyclotron in 1929. One of his students, M. Stanley Livingston, undertook the project and succeeded in building a device that accelerated hydrogen ions (protons) to an energy of 13,000 electron volts (eV). Lawrence then set out to build a second cyclotron; when completed, it accelerated protons to 1,200,000 eV, enough energy to cause nuclear disintegration. To continue the program, Lawrence built the Radiation Laboratory at Berkeley in 1931 and was made its director. One of Lawrence’s cyclotrons produced technetium, the first element that does not occur in nature to be made artificially. His basic design was utilized in developing other particle accelerators, which have been largely responsible for the great advances made in the field of particle physics. With the cyclotron, he produced radioactive phosphorus and other isotopes for medical use, including radioactive iodine for the first therapeutic treatment of hyperthyroidism. In addition, he instituted the use of neutron beams in treating cancer. During World War II he worked with the Manhattan Project as a program chief in charge of the development of the electromagnetic process of separating uranium-235 for the atomic bomb. In 1957 he received the Enrico Fermi Award from the U.S. Atomic Energy Commission. Besides his work in nuclear physics, Lawrence invented and patented a colour-television picture tube. In his honour were named the Lawrence Berkeley National Laboratory; Lawrence Livermore National Laboratory at Livermore, California; and element 103, lawrencium. Selman Abraham Waksman, (born July 22, 1888, Priluka, Ukraine, Russian Empire [now Pryluky, Ukraine]—died August 16, 1973, Hyannis, Massachusetts, U.S.), Ukrainian-born American biochemist who was one of the world’s foremost authorities on soil microbiology. After the discovery of penicillin, he played a major role in initiating a calculated, systematic search for antibiotics among microbes. His screening methods and consequent codiscovery of the antibiotic streptomycin, the first specific agent effective in the treatment of tuberculosis, brought him the 1952 Nobel Prize for Physiology or Medicine. 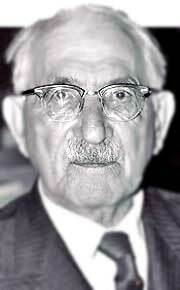 A naturalized U.S. citizen (1916), Waksman spent most of his career at Rutgers University, New Brunswick, New Jersey, where he served as professor of soil microbiology (1930–40), professor of microbiology and chairman of the department (1940–58), and director of the Rutgers Institute of Microbiology (1949–58). During his extensive study of the actinomycetes (filamentous, bacteria-like microorganisms found in the soil), he extracted from them antibiotics (a term he coined in 1941) valuable for their killing effect not only on gram-positive bacteria, such as the tubercle bacillus (Mycobacterium tuberculosis, which unlike other gram-positive microbes is insensitive to penicillin), but also on gram-negative bacteria, such as the organisms that cause cholera (Vibrio cholerae) and typhoid fever (Salmonella typhi). In 1940 Waksman, along with his graduate student H. Boyd Woodruff, isolated actinomycin from soil bacteria. Although the substance was effective against strains of gram-negative and gram-positive bacteria, including M. tuberculosis, it was extremely toxic when given to test animals. Four years later Waksman and graduate students Albert Schatz and Elizabeth Bugie published a paper describing their discovery of the relatively nontoxic streptomycin, which they extracted from the actinomycete Streptomyces griseus. They found that the antibiotic exercised repressive influence on tuberculosis. In combination with other chemotherapeutic agents, streptomycin has become a major factor in controlling the disease. Waksman also isolated and developed several other antibiotics, including neomycin, that have been used in treating many infectious diseases of humans, domestic animals, and plants. Among Waksman’s books are Principles of Soil Microbiology (1927), regarded as one of the most exhaustive works on the subject, and My Life with the Microbes (1954), an autobiography.